We are one of the leading manufacturers & exporter offering wide range of many industrial product and centrifugal blowers are one of them. Our Centrifugal Blowers are available in single inlet single width design with backward curve, forward curve, and straight radial impeller for low, medium and high pressure applications. The blowers are fabricated in M.S., S.S, Aluminums etc. 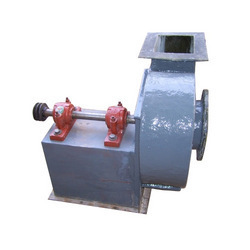 our centrifugal blowers are customized as per our customers’ requirement & specification also and also very short span of time.